Each year, to kickoff the JP Morgan Health Conference in San Francisco, we draw special attention to those who have made exceptional progress in driving resources, attention, and innovation towards the burgeoning digital health industry. From writing healthcare policy to steering corporate acquisitions to moving technology from the bench to the bedside, we want to honor the people and organizations making this sector thrive. Initial nominations are open to the public from October 1 to November 2, 2018. The Top 50 committee—composed of digital health visionaries from diverse backgrounds—select the finalists. Award winners are chosen in an online vote by the public from November 12 to 30, 2018. Honorees will be announced on December 3 and are celebrated at the Top 50 in Digital Health Awards Dinner on January 6, 2019. We're honored to recognize the changemakers of healthcare—meet the past honorees. Michael is the Industry Co-Chair for Digital Health at Fenwick & West. He provides strategic counseling to emerging and high-growth companies primarily in the digital health, consumer and enterprise tech, social networking, software and cloud computing industries. JC is a cofounder of Square 1 and has more than 15 years of experience working with life science venture capitalists and entrepreneurs. Prior to Square 1, he ran the early stage Life Sciences and Digital Health practice at Silicon Valley Bank. Dr. Leslie Saxon is a professor of clinical medicine at the Keck School of Medicine of USC. In addition, Dr. Saxon serves as the executive director of the internationally acclaimed USC Center for Body Computing and newly formed USC Virtual Care Clinic. She was named Most Tech-Friendly Doc in 2016's Top 50 in Digital Health. Jim is a managing director in the Consumer Retail and Healthcare Group at Goldman Sachs, covering healthcare services and technology companies. Jim serves as a member of the Advisory Board for Ben’s Friends, a nonprofit focused on building online communities for patients with rare diseases. Dr. Amy Abernethy leads the research oncology, clinical operations, and data science teams at Flatiron Health. Before joining Flatiron, Amy was a professor of medicine at Duke University School of Medicine and ran the Center for Learning Health Care. Leah Sparks has more than 15 years experience building innovative healthcare businesses in both venture-backed companies and Fortune 50 corporations. Prior to starting Wildflower Health, Leah led business development for a personalized medicine startup acquired by Medco and held a variety of leadership roles at McKesson. Bill is the Managing Director of Rock Health. He has deep healthcare and technology expertise, leadership and management experience. 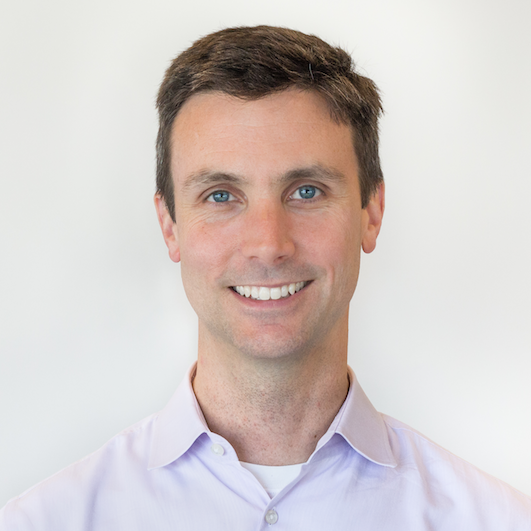 Before Rock Health, he spent 13 years in technology/informatics leadership roles at Genentech/Roche, worked as a senior software engineer at Epinions and as an analyst at Goldman Sachs. Michael Dillhyon, Founder, YouBase, Inc.